Our Sheri Dettman & Associates marketing team has been in Palm Springs the last few days capturing hundreds of new photos. They're in the process of updating dozens of our Palm Springs Non-Golf Community photos. I picked three Palm Springs shots to share with you today. The first photo above was taken at the entrance to Spencer's Restaurant at The Palm Springs Tennis Club. Spencer's is located just blocks from downtown Palm Springs. 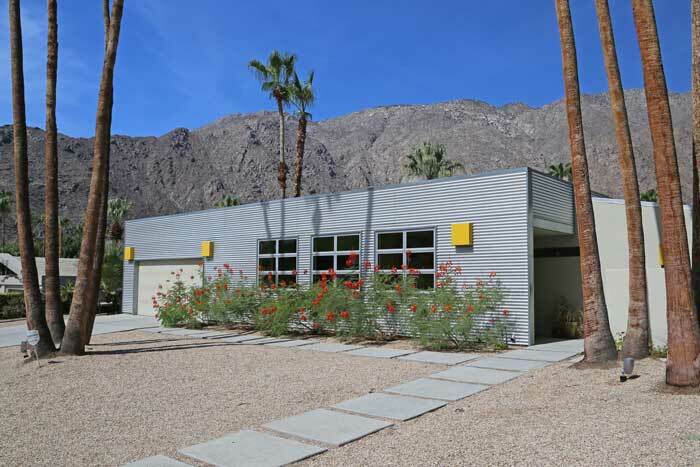 The photo below shows a newer modern home in the Vista Las Palmas neighborhood of Palm Springs. The photo at the bottom of this post shows our sense of humor at work. 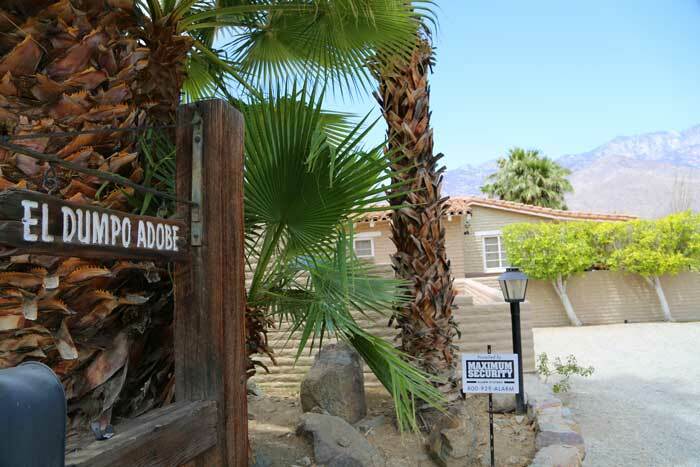 We couldn't pass up this home up in the hills of Araby in South Palm Springs with the sign reading "El Dumpo Adobe."